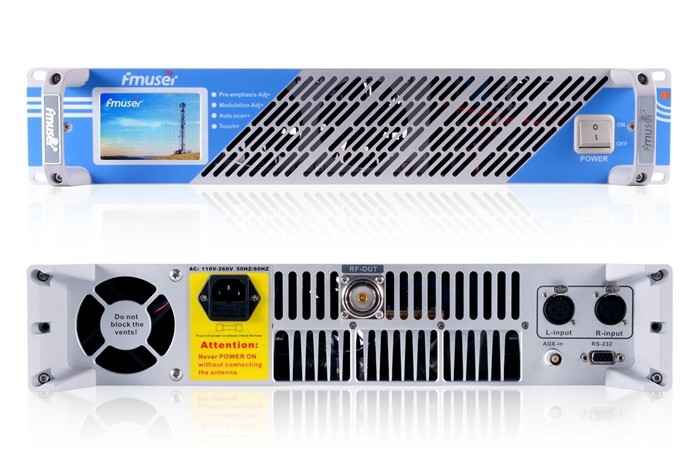 FMUSER hereby presents newly innovated 350W FM transmitter V3.0 to all FM broadcast fans with due respect. 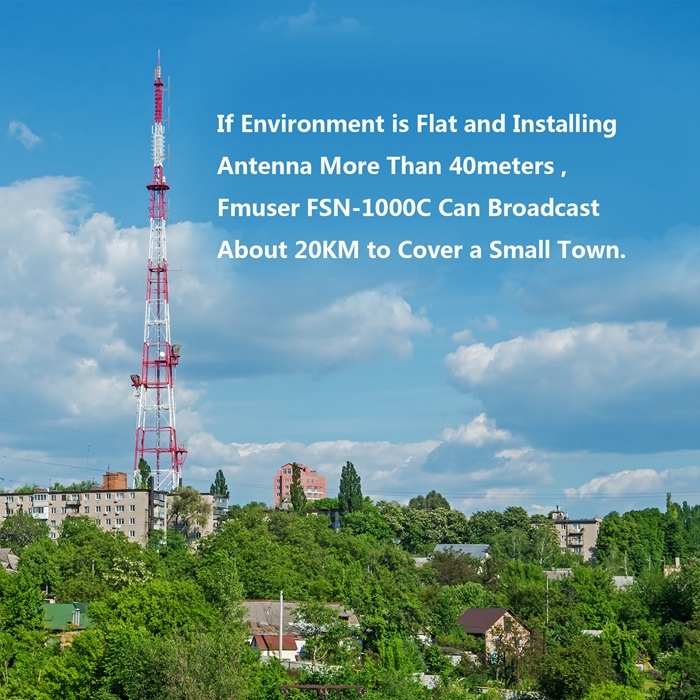 Exclusively from other 350w transmitter in the market, FMUSER V3.0 350w FM transmitter features by its human-friendly touch screen operation interface, highly stable and reliable performance and near CD quality stereo sound effect, which make it a remarkable improvement in the whole market, and leads to its high popularity in using for the most of radio stations. 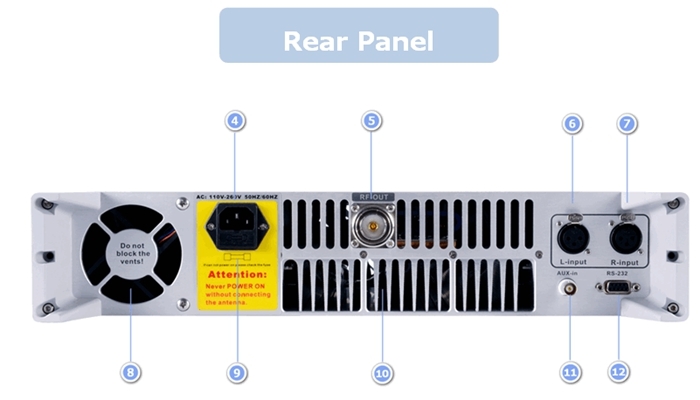 This 350w FM transmitter is designed in a compact 19 inch 2U chassis by integrating all modules inside, small in size and easy in operation and maintenance. It adopts the most advanced RF transistor of BL188 OR MRFE6VP61K25H, which ensures a high working efficiency of 72%, the power loss is reduced to the minimum value ever. The DSP(Digital Sound Processing) technology makes FMUSER V3.0 350w FM transmitter an enjoyable sound broadcasting device for all music lovers, you’ll no longer be bothered by the noises or distortions. 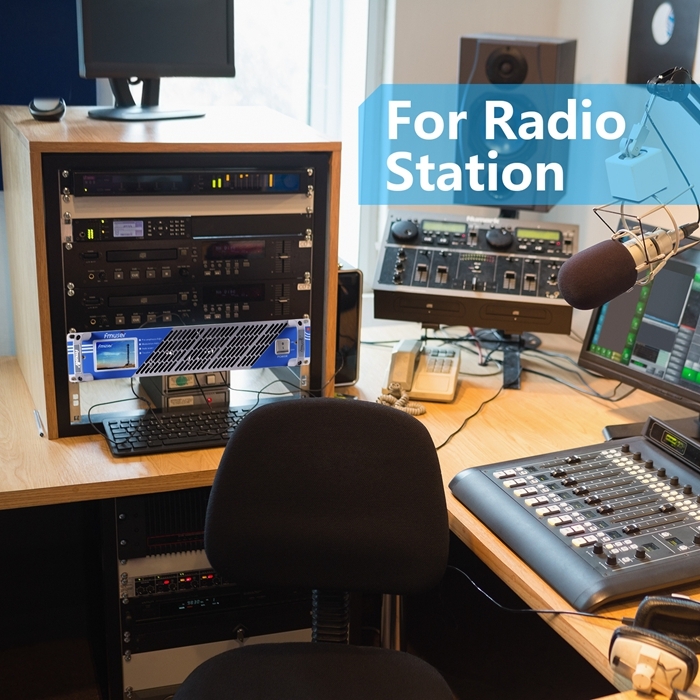 As quality assurance, FMUSER Provides 5 YEAR warranty for this V3.0 professional broadcast transmitter, you’ll have no worries to use it for the radio station. When audio mixers are connected with the 350w FM transmitter through the XLR Balanced audio input interface, the transmitter will provide plenty of options for the modulation to best match with the mixer. 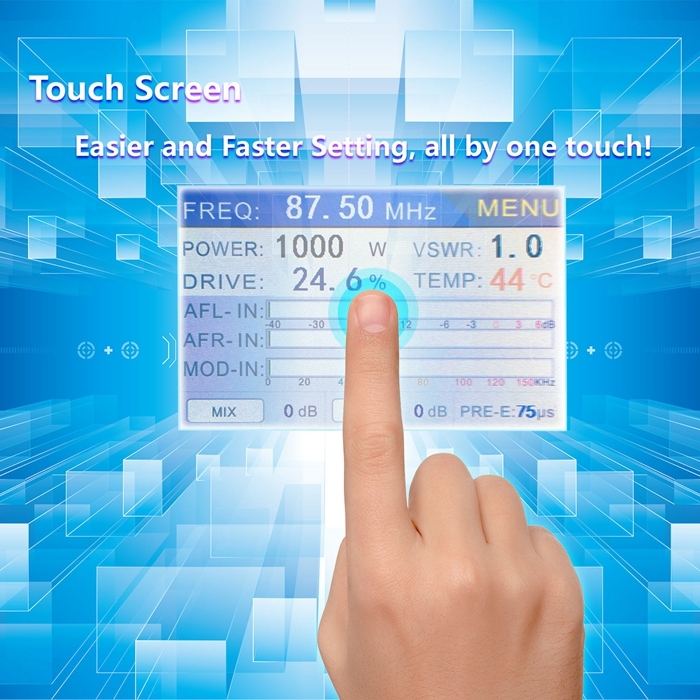 This V3.0 350w FM transmitter is designed with a precisely sensitive touch screen in replace of the control buttons on previous transmitters. 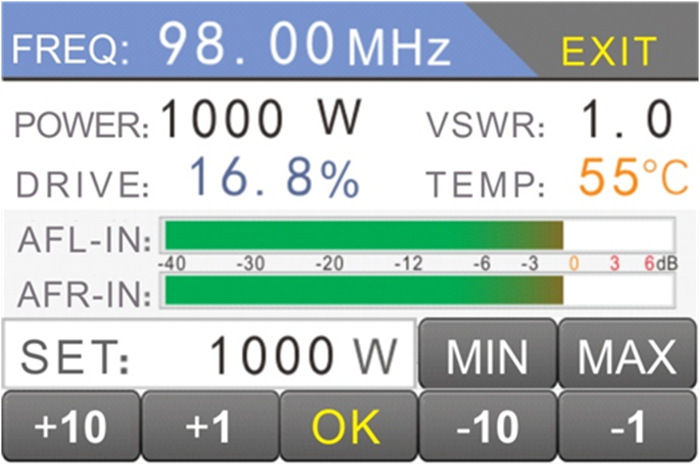 With all information displayed clearly on the screen, users can control and configure all parameters very easily. 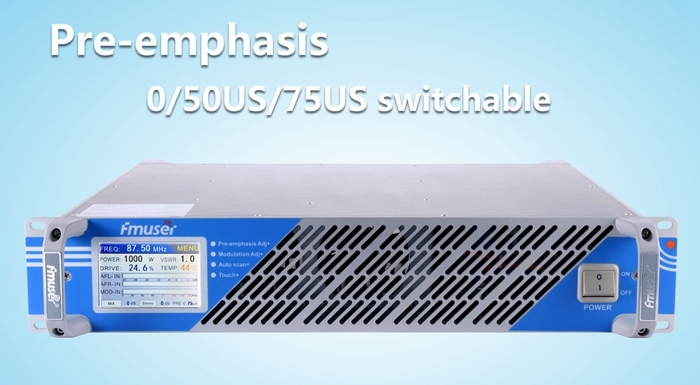 The pre-emphasis of 350w FM transmitter are flexible to choose among 0US / 50US/ 75US, users can choose the best match mode according to their own needs. 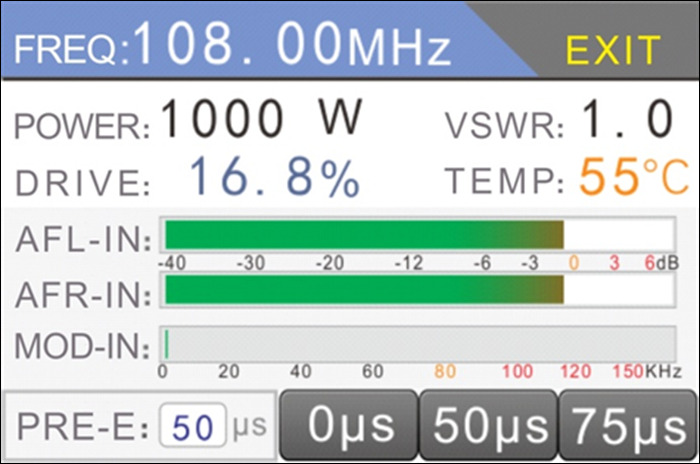 The RF out of this 350w FM transmitter is continuously adjustable from 0- 350 watt at the stepping of 0.1watt, which means you can tune it to 1w, 1.1w, 1.2w…50w…100w…350w , with just one transmitter you’ll get multiple modes of outputs and easy to tune as per your needs. Dimensions: 483 x 320 x 88 mm without handles and protrusions, 19 “2U standard rack. This entry was posted in 50W-350W FM Transmitter, FM Transmitter, Products and tagged 350w fm transmitter, 350w transmitter, fm transmitter., transmitter. Bookmark the permalink.